It's easy to enforce the law of the land when you have the proper equipment! 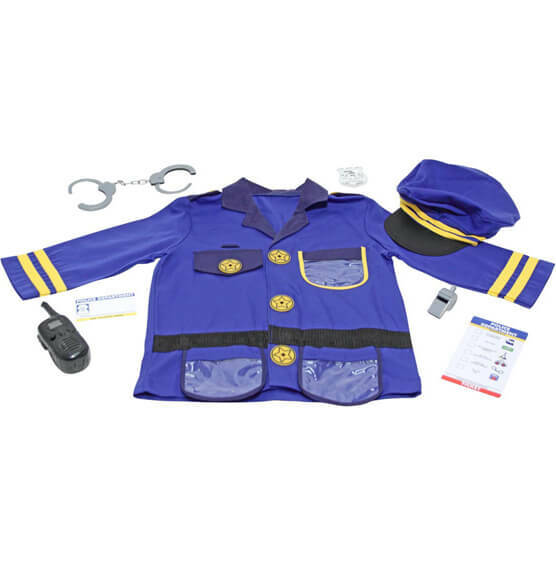 Your little police officer will love this official looking, machine-washable, Melissa & Doug® Personalized Police Officer Costume Set, and shiny police badge. 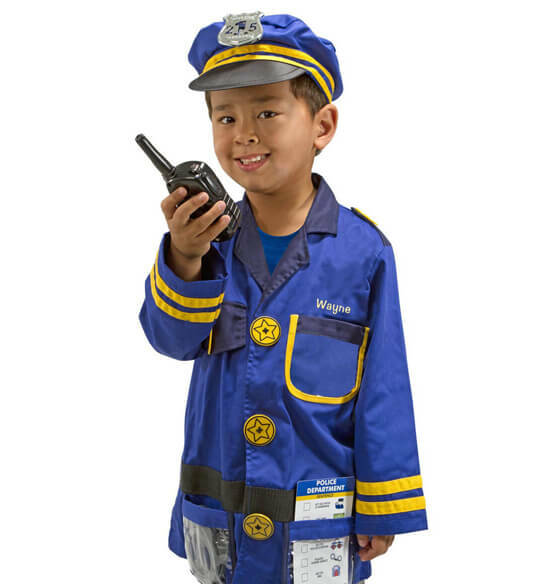 Add the whistle, walkie-talkie with sound effects, handcuffs, ticket and a name tag for personalizing and no one will dare to jay walk in your neighborhood! Fits ages approx. 3-6. Express shipping not available. Please allow 2-3 weeks for delivery.